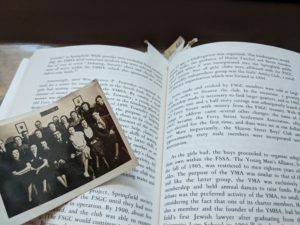 If you are new to JHSWM, we are a non-profit organization seeking to preserve the stories of Jewish people in and around Western Massachusetts. We work in collaboration with the Jewish Heritage Center to preserve, protect, and enjoy the stories of Massachusetts Jews and to treasure Jewish heritage. We welcome you. If you are an old friend, things may look a little different here! Our new site seeks to better present our archives and oral histories, as we continue to record them. We hope you will stay with us on the next stage of our journey. Many 2018 bring you many blessings.